Oliver Dalrymple’s arrival into heaven is not quite what he expected. After seemingly passing away from a heart defect, Oliver - better known as Boo when he was alive on Earth - begins his second life in the Town, a purgatory-esque world filled with other 13 year olds who never grew up. Though an odd concept at first, Boo expects to live out the rest of his afterlife in perfect harmony alongside his fellow ‘Townies’ - before re-passing and entering heaven. But when a former classmate, Johnny Henzel, arrives in Town, Boo soon discovers he may not have died as innocently as he thought. Johnny proclaims he and Boo were both murdered at school and their mysterious shooter (who they nickname Gunboy) has also ended up in heaven. Boo soon finds himself alongside Johnny, tracking down Gunboy. The question is what will happen when they find out the truth behind their deaths? From the premise of the story it’d be really easy to assume Boo to fall into the quirky paranormal YA category, but the book is so much more than that. What I expected to be a simple case of a murder mystery - albeit being solved by the deceased - ended up twisting into a wonderfully truly enthralling journey into the afterlife. The book itself addresses many themes such as the idea of purgatory (embodied in the novel as Town), redemption/reconciliation, the concept of fate and God. The deep subject matter could leave the book feeling incredibly dense - and there is certainly a Lord of the Flies vibe coming off the last few chapters, but it’s the age of the characters that keeps this story on the lighter side and more innocent. Boo is a really sincere narrator and his honest approach to telling his story leaves you often forgetting he is only 13 years old. The same applies to the rest of the characters too but none more so than Johnny Henzel. Whilst Boo could be considered the awkward and clear headed right brain, Johnny is his emotionally charged opposite. The contrast between the two boys is seriously one of the more interesting pieces character development you see in the book. The other characters are also seriously diverse. Though illness stops in the Town we see there is a key secondary character with achondroplasia (dwarfism) and one with a stunted form of vitiligo - both of whom are certainly not defined or constrained by their disabilities. 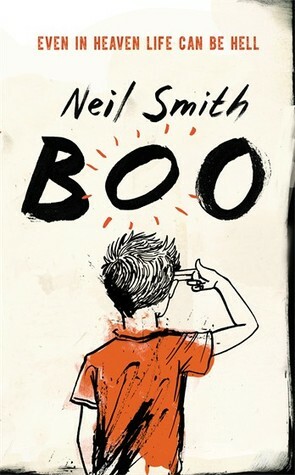 Not only does Boo tackle some in depth topics concerning death and the afterlife but it’s also offers sensitive look at mental illness and depression - a rare thing seen in books with characters this age. The wounds Boo, Johnny and the other characters in the book may be physical but it’s their emotional journeys that make this novel so worth the read. Ultimately, Boo is a story of the healing power of friendship and time, but mostly the importance of letting go and moving forward. For lovers of...The Lovely Bones, The Curious Incident of the Dog in the Night-Time and What Dreams May Come. Features | Colouring Books For Grown Ups! Features | The 5 Worst Book Covers I Own.